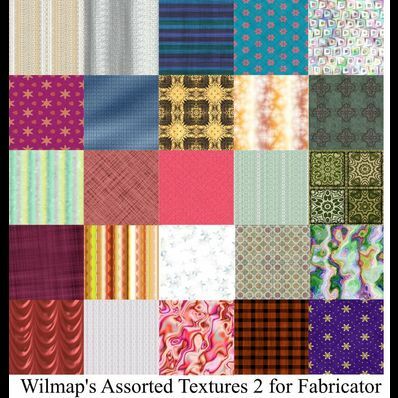 Pack of 69 assorted texture shaders. Can be used without the Fabricator. Thank you very much for your work. I wish you a wonderful evening. Radyga. Thanks so much, one question, just wondering why you left ShareCG?